This large warm-season perennial bunch grass is a great addition to seedings in arid or semi-arid regions of Texas, New Mexico and Arizona. 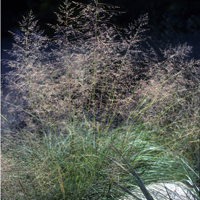 Alkali Sacaton is highly drought tolerant and requires low moisture levels. Great for stabilizing disturbed areas. It has a high salt tolerance and works well in restoring oil well pits. Source of food for wildlife. Survives on as little as 12" precipitation per year.